The origin of doughnuts is in dispute. Some say it was invented by Danish settlers in America. An American sailor also claims to have invented it. 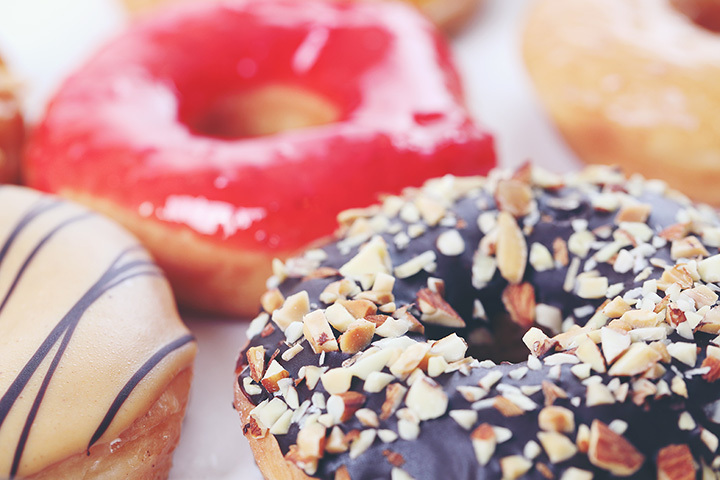 It’s thought that Washington Irving wrote the first reference to doughnuts in 1809. Whether you like your doughnuts with sprinkles, filled with raspberry jam or topped with chocolate frosting, you’ll find the doughnut that hits the spot at one of these 10 shops in Oklahoma. Doughnuts baked fresh daily with lots of varieties to take to work, home or school. Follow them on Instagram for mouthwatering pictures of their creations. Polar Donuts has been serving up fabulous doughnuts to Oklahomans since 1992. They’ve been regarded as the best in the state. If you’re ever close to one of the shops, make sure you try one of their specialty donuts at least once. Enid has a lot of donut shops, but Schieber’s has got to be one of the best. Not only do their doughnuts achieve the perfect consistency, but they’re bursting with sugary goodness as well. If you’re hungry for some lunch food, grab a sandwich at the deli! You don’t have to be a kid to enjoy the fun shapes at OK Country Donuts. There’s a line on Saturdays, but you can get these doughnuts any day but Sunday. It’s great fun going in and choosing a caterpillar, a pirate or a flower doughnut, depending on your mood. Red Rock Bakery hits the mark when you want donuts in Stillwater. Go traditional or get a fancy fritter with apples for a special treat. Belle Kitchen makes these delightful macarons, but it also has some wonderful doughnuts to enjoy for breakfast. You’ll find traditional classics and seasonal flavors. Try some of each before picking your favorite. BuzzFeed named Belle Kitchen as the best place for doughnuts in Oklahoma. When you’re in the mood for doughnuts at 10 p.m., you’ll want to make the drive to Hurts. Open 24 hours, Hurts has what you’re craving. On Fridays and Saturdays, you can get Siracha doughnut holes. You’ve gotta try these to believe they’re delicious. Jerry’s Donuts has been around for almost 30 years, serving up some of the best doughnuts in Mayes County. When you’re in Guthrie, get your doughnuts here. Doughnuts are made fresh every morning. Try their cake doughnut—it’s to die for. Specialty doughnuts, decorated for the season, await you here. The owners are delightful and willing to take special orders, with enough time.